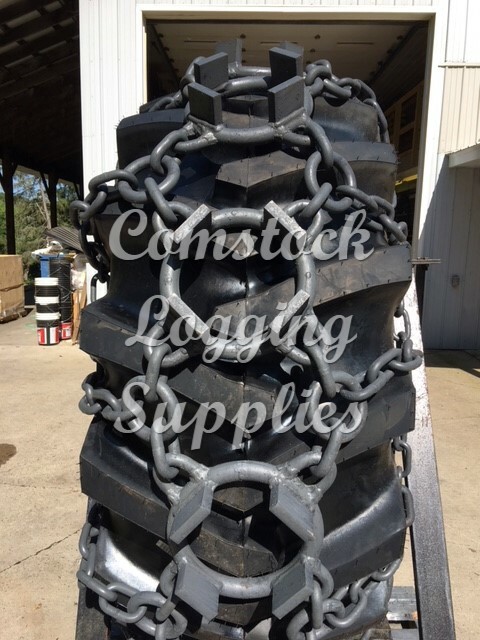 This is a heavier traction chain for farming, forestry, construction and snow clearing - excellent traction, smooth riding and virtually trouble free operation! The production process is sophisticated. The red hot chain mesh is soaked in carbon gas for hours to create a double steel. 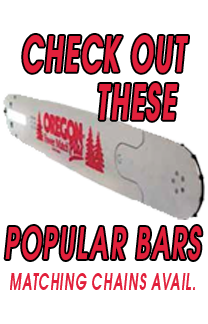 When quenched this process results in a unique material with super tough surface hardness and a normally hardened core. All together this ensure the market highest life time expectancy. 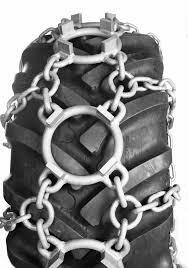 Chain tightener is recommended for installation of heavy chains.